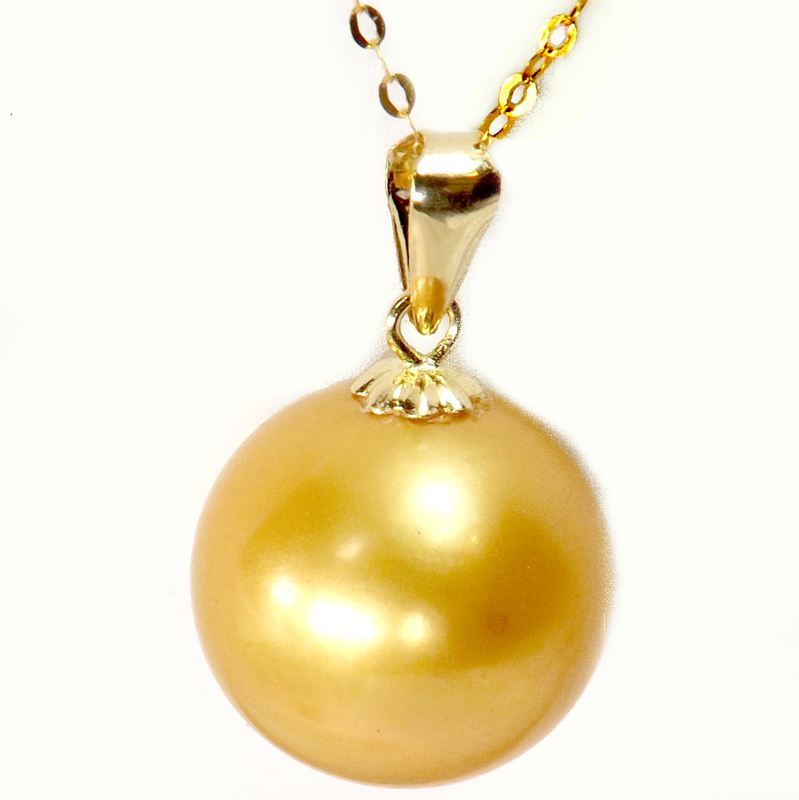 If you love the golden color of South Sea Pearls, but not the price, then this Golden Colored Edison Pearl Pendant in 18k Yellow Gold is the perfect alternative! Edison pearl is the newest experiment by pearl farms with only a mussel is nucleated with only ONE bead at a time, just like South Sea oysters. 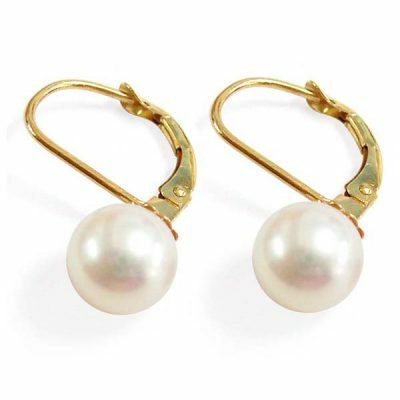 In this way the mussel to direct all its attention at creating a single amazing pearl with round shape. Thus it is comparable in look, but costs 80% or less than a south sea pearl, although it is still a genuine pearl from an oyster. Our Edison pearls are cultured with this newest scientific and technological sophistication. Mussels are selected and tiny beads are inserted through a special method to farm the round shaped pearls that are dense, highly lustrous, and with minimal surface blemishes. 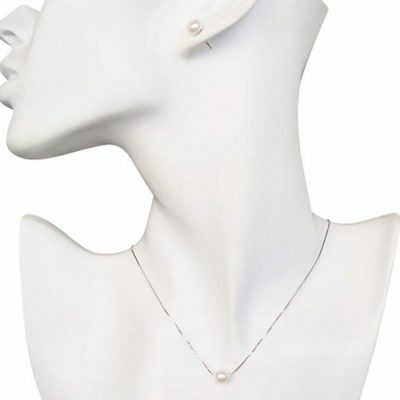 As you can see from the picture these are very round shaped pearls and unique with hardly any blemishes which makes them quite rare, and expensive from jewelry stores. Mainly because pearls are just like people who are made of nature, the older we get, the more likely we have more imperfections. When it comes to pearls, it is the same because bigger sized pearls will have to stay under water for much longer than smaller sized pearls, which makes them more subject to environmental damage, therefore, physical imperfection. The following size pendants are available: 10-10.5mm, 10.5-11mm, 11-11.5mm, 11.5-12mm, 12-13mm, 13-14mm all the way to huge 14-15mm. Please see drop down menu for detailed size and choose your preferences. Limited quantities in stock. No back orders can be made available for these pearls. If you can not select from the drop down menu, that means the items has been sold out. Sorry. 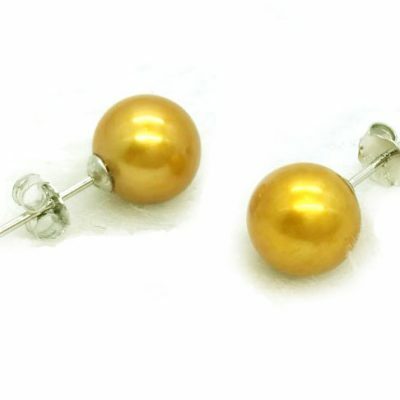 We also have small totally round gold colored pearl studs earrings available. The product number is #ZEA1056SW.